Pakistan Post is on the road to restore and regain its lost glory as premium Federal Public Service Organization by taking progressive initiatives such as E-Commerce to meet the rising expectations of the digital consumers and customers of the day, the Federal Minister for Communications and Postal Services, Murad Saeed said on Saturday during a launching ceremony of E-Commerce initiative by Pakistan Post. 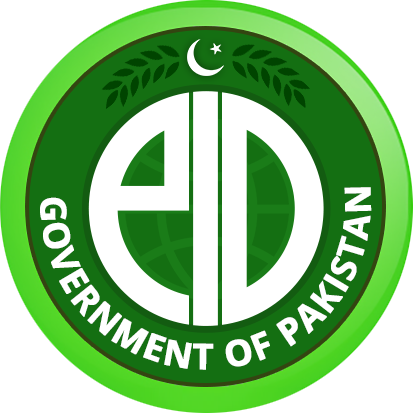 The Federal Minister stated that the ever changing and rising expectations of the customers in the digitalized global market of the day is huge challenge indeed, this initiative of E-Commerce, he further stated, will create a win-win opportunity for the Postal Services of Pakistan in the flourishing E-Commerce market of today. The Federal Minister further stated it is true that the decreasing trend in letter mail globally has threatened the traditional postal services but the flourishing parcel mail market in shape of E-Commerce has opened great vistas for postal sector across the globe. To improve its financial health and to make it a commercially viable entity and profitable institution, the Federal Minister stated, we are capitalizing on the strength of this organization by utilizing its countless foot print, wide and best delivery network and its round the clock cash remittance service. In the first phase a full fledge web portal i.e. Web Post Shop will be developed which will help making Pakistan Post a hub of commercial activities and a robust platform for collaborating with the players in the E-Commerce market, the Federal Minister stated. The Director General Pakistan Post, Dr. Naseer Ahmed Khan while appreciating the proactive approach and dynamic leadership of the Federal Minister for Communications and Postal Services stated that Pakistan Post is on its way to make a genuine turnaround by capturing a major chunk in the today’s E-Commerce market share in order to make this premium public service organization, a self-sustaining and vibrant entity. He further reiterated that all efforts are being made to make this initiative a successful venture. This, he concluded, will turn Pakistan Post into a valuable national asset.